The Netherlands is a real cycling country. Every day we cycle from A to B in a pleasant and healthy way every day. 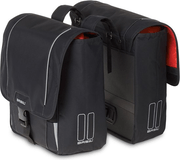 Bicycle baskets and saddlebags make it possible to take some luggage with us. 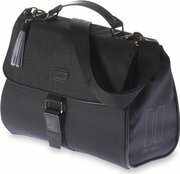 Think of groceries, your sports bag, briefcase or even your little dog. 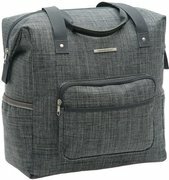 Frank has a wide range of bicycle bags and baskets. 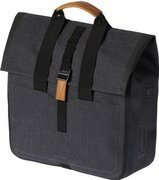 Whether you're looking for a single or double bike bag, courier bag or wicker basket, Frank has the latest and most popular models for you. Brands such as Basil, Ortlieb, New Looxs, Brooks, Fast Rider, Mirage, Willex, AGU, Topeak and Cordo are well represented in the range. 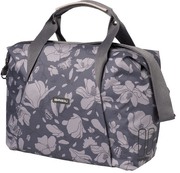 From sober designs to the most individualised bike bags and baskets.